From left: Kevin Hogan, chief executive officer, DPI; Annette Lund, vice president, DPI; Rob Gilman, general manager PPIM; Lucy Huynh, controller, PPIM; Jae English, founder, PPIM; and Roger Vang, chief financial officer, DPI. Diversified Plastics, Inc. (DPI), Minneapolis, Minnesota, a custom plastic-injection molder and digital manufacturer of parts and components for medical device, filtration, aerospace and other industrial markets, has acquired the assets of Pacific Plastics Injection Molding (PPIM) in Vista, Calif.
DPI is a full-service contract manufacturer providing design for manufacturing assistance, additive manufacturing, mold construction and intricate molding, as well as cleanroom assembly. In 2018, DPI joined the Carbon Production Network. DPI is ISO 9001:2015 and 13485:2003 certified, FDA registered, ITAR certified and UL registered. ISO 9001:2015-registered PPIM offers custom plastic-injection molding, as well as design and custom mold making services to industrial, electronics, telecommunications, medical and filtration markets. 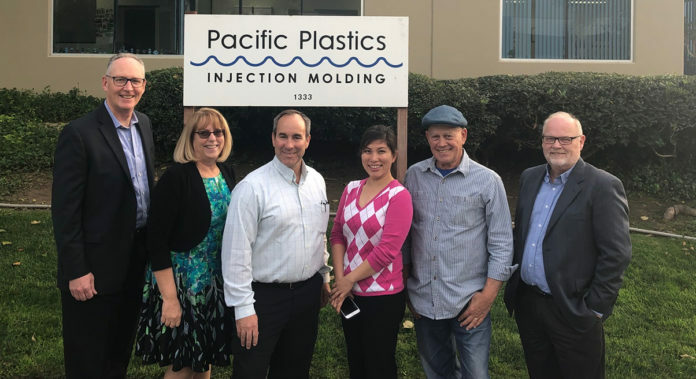 PPIM provides a single source for injection-molded plastic parts, product design and design support, in-house and offshore tooling, and value-added assembly and packaging services at its 18,000-sq.-ft. facility in Southern California. 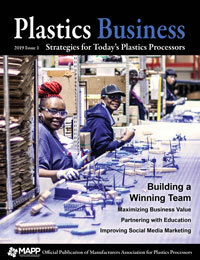 For more information, visit www.pacificplastic.com and www.divplast.com.